Welcome to the Norwich City School District! Fall 2018 will be here soon! 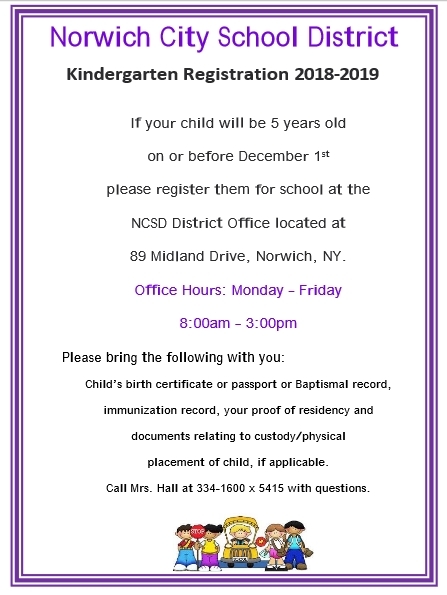 If your child will be 5 years old on or before December 1, 2018, use the information in our flyer to learn how you can register your child for the upcoming school year.